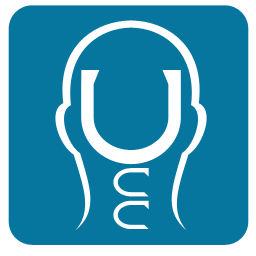 Upper Cervical Care is a unique system of finding and correcting nerve interference in the upper neck area. Think of the brain stem as the control center that extends down an opening in the base of your skull, making it vulnerable to injuries or irritation around the upper neck. The brain stem works like a telephone cable with thousands of individual wires or nerve fibers sending signals back and forth between the brain and spinal cord to every cell, organ and system in the body. Almost every nerve impulse between the brain and the body must pass through the brain stem. The nervous system is responsible for all communication within the body. It regulates your immune system, emotions, vision, hearing, balance, breathing, heart rate, blood pressure, digestion, muscle tension, posture, hormones, and every other function. Irritation or pressure within the central nervous system can interrupt communication between the brain and the body, thus creating a variety of health problems. The top two vertebrae, the Atlas and Axis, are especially vulnerable to injury or misalignment because they are the most mobile segments of the spine. 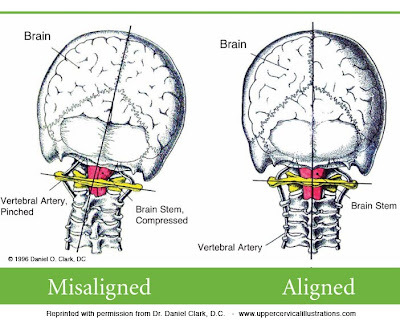 If neglected, an Upper Cervical misalignment can lead to irreversible spinal degeneration and chronic ill health. 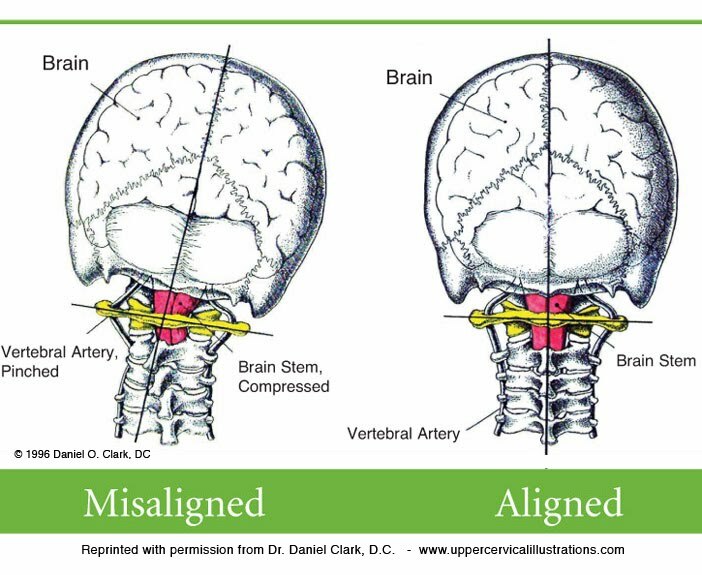 Upper Cervical misalignments can be caused by falls, auto accidents, sports, job injuries, concussions, physical or emotional stress, poor posture, or even birth trauma.